Relocating to a new house is stressful enough without having to worry about the logistics of an entire move. So when it comes to the heavy-lifting (literally), leave it to the professionals — professional movers, that is. 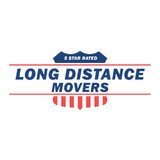 Experienced Saint John, IN moving companies consist of expert movers and packers who can efficiently pack, move and assemble your Saint John belongings to ensure that you get off to a good start in your new home! RMS Movers is a professional moving company that provides fully equipped moving services for residents and businesses throughout the chicagoland area. 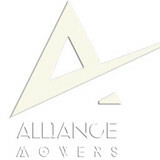 Our services are provided by professional movers and advisers with excellent customer service skills. We value our customers time and ensure that the services are provided in a timely fashion. Rms offers low and competitive prices while delivering a smooth and comfortable moving experience. Coffey Bros. Moving is a locally owned and operated moving company. We were founded in 2010 with the simple idea of combining exceptional customer service and support with first class industry leading moving services. Coffey Bros. Moving has grown into Chicagoland’s leader in professional and affordable commercial and residential relocation companies. Offering solutions from packing services, labor only, and storage, up to complete end-to-end commercial and residential moving solutions, we are dedicated to delivering a professional moving solution to fit your needs with our experienced and trained staff. All of our movers have at least three years’ experience, and the moving supervisor has a minimum of five years’ experience. Our sales team and move coordinators are also highly trained and efficient in both communication and customer service. With Jim’s Movers you will always be treated right and your relocation challenges will be taken care of in the most professional way possible. We have excellent knowledge in this field and our workers are very experienced. This is mainly because we have been doing moves in Chicago for a number of years now. Also we keep everyone in check by holding them to the highest of standards. Our training sessions are held internally and so far we have had great results. Making the right decisions during a move is vital and we are going to do exactly that. Sorting items before putting them into boxes is very important so that they do not get mixed up. This is especially true when it comes to relocating fragile goods. They usually require extra shielding and this is why we use bubble wrap. Call our numbers and get a free quote on our Chicago moves today.